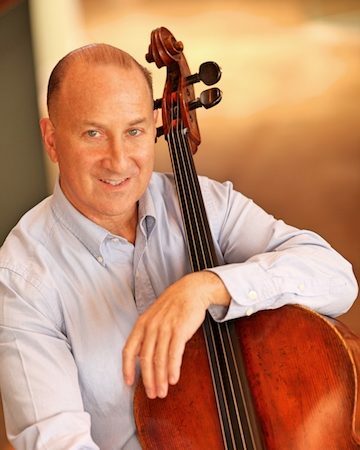 John Redfield began playing cello at the age of 8, and with the help of private teachers and hard work was awarded a full scholarship to Indiana University where his primary influences were Joseph Gingold, Gyorgy Sebok, and the legendary Hungarian cellist and teacher Janos Starker. Starker’s teacher was Schiffer, Schiffer’s teacher was David Popper, whose methodology is an essential for all aspiring professional cellists and championed by John Redfield. John Redfield returned to Santa Monica, built a studio of 60 students, and is currently Founder/Director of the Santa Monica Conservatory of Music, as well as member of the SMMUSD District Advisory Committee for the Performing Arts. His numerous current and past Cello students include prizewinners as well as those pursuing music at Yale, NYU, Georgetown, USC and UCLA. John plays a beautiful cello dated 1700.